The IT train is rolling right along! 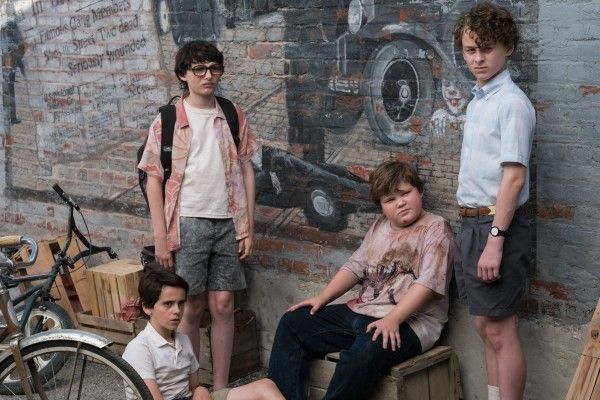 Last year, New Line Cinema brought Stephen King‘s beloved novel to the big screen with Andy Muschietti‘s IT, which went on to earn rave reviews and earn a cosmic void’s worth of box office bucks. The adaptation became not only the highest-grossing Stephen King movie of all time, but the highest grossing R-rated horror movie, among a host of other box office records during its run. So, yeah, it was a pretty safe bet that the studio was going to get the wheels turning on the sequel sooner than later. The filming date isn’t surprising, but it is exciting to know we’re going to be getting answers to the casting question very soon. IT only covered half of King’s book, which follows Bill, Bev, Ben and the rest of the Derry kids into adulthood, when they square off against Pennywise once again. Naturally, the big question has been who should play the grown-up versions of the kids and everyone has their favorites (Bill Hader for Richie or bust), but there have been no official hints as to who might take on the roles. Except, of course, Jessica Chastain for Beverly. That was a popular piece of fan casting from the get-go and a likely one too, considering her existing relationship with the Muschiettis (who worked with her on the 2013 chiller Mama), and she was confirmed to be in talks back in February. Aside from Chastain, their casting intentions remain a mystery, so I’m very excited to see who winds up in the roles. We do know the original Losers are expected to return for flashback scenes, but that’s about it. What do you think? Who are you hoping to see in the casting announcements in the coming weeks? Do you think they’ll go A-list after the first film’s success? Sound off in the comments.